Why is the deposit so much to put sewer and trash into my name? The deposit is based off of three months of each service that is provided at the address you are renting. The deposit will cover the final bill in the event that the account was to go unpaid. If, at the time the account is closed out and there is a zero balance, the entire deposit would be refunded in the form of a check or can be transferred to another address in the city of Boise. Why is a credit check required to setup an account if I'm a renter? The credit check is required to identify who we are speaking to over the telephone. It also allows us to see if we are able to waive the deposit that would be required to set up service for a renter. If your credit score comes back at a 600 or better and you have had no prior bad payment history with us, then the deposit can be waived. If your credit score is below 600, a deposit will be required. If you choose not to run the credit check, you can come down to our office located at 150 Capitol Blvd Boise Id. 83702, in City Hall on the 1st floor. You must provide a form of identification, such as a driver's license or passport and the deposit will need to be paid at that time. I am a commercial customer and I need to change my mailing address, why do I need to contact Republic Services? Although Boise City bills customers on behalf of Republic Services, you signed a legal contract with Republic Services. Any changes, such as changing your mailing address, are required to be managed by Republic Services. Once Republic Services has the new service agreement signed by the customer, they will notify Boise Utility Billing Services of the new mailing address. Why do I have to wait until the sale on my new home has been funded and recorded to contact Boise City? The City requires you to wait until everything has funded and recorded as our services are mandatory. Since services are mandatory, no lapse in service will occur if we do not hear from the buyer or seller on the exact day of closing. Regardless of when we hear from the buyer or seller, the account gets closed out as of the official closing date per Ada County tax records. Why does my bill charge vary each month? The billing system bills per day, so monthly bill amounts vary slightly because some months have 30 days and others have 31 days. While the monthly bill varies slightly, over the course of the year you still pay for the same amount of service. 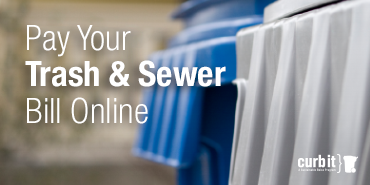 On an annual basis, customers still pay the current sewer rate for 365 days of service. Make an online payment using credit/debit cards or ECheck. Become a registered user to access more features such as AutoPay, paperless billing, e-mail notifications, and more. 1-877-896-9230; use credit/debit cards and electronic checks to make payments by phone 24 hours per day. You may pay with cash, check, or credit card in person by stopping by Utility Billing, First Floor, Boise City Hall. You may deposit your payment (checks only please!) in the Drop Box at the entrance to City Hall on Capitol Boulevard. I won't be at this residence for an extended period of time. Can I stop service? No, you can't stop service; you may apply for vacancy status. If services are not used and your property is vacant for at least 30 consecutive days, you may be granted vacancy status upon approval of a vacancy application. I am a renter, why is the deposit so much to put sewer and trash service into my name? What days will my trash collection be delayed? The best way to know for sure what holidays Republic Services is going to observe for the current year is to look at the top of the recycle calendar that is sent out with either your final bill of the year or the first bill of the year. When will my trash be collected? Republic Services determines the collection days based on your location within the city limits of Boise. Go to Idahotrashdays.com for more information. When will my glass be collected? Republic Services determines which day in which glass will be collected curbside. Go to idahotrashdays.com/glass for more information. I am a commercial customer and I ordered a dumpster. Why am I being told to contact Boise City to pay a deposit? 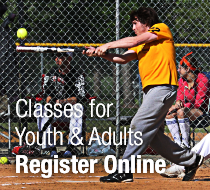 Boise City does the billing on behalf of Republic Services and deposits are required by Boise City. Why are deposits for commercial dumpsters so much? A deposit may be collected equal to three months solid waste collection and disposal services. It includes charges, such as full months of rental and a return fee when Republic Services removes the dumpster. A deposit can be required if a customer has never had service with Boise City before or has had bad payment history with Boise City. Are trash and sewer services mandatory? Yes. Residents of residential premises that reside within the corporate limits of the city of Boise are required to have trash and sewer service. Residential solid waste collection service as provided through the city of Boise is mandatory for all residential premises, whether the premise is a single family or multi-family dwelling unit. All residents or residential premises shall be charged a fee for this service. Fees for residential premises are not based on the amount of solid waste placed for disposal, nor the frequency of solid waste collection. Vacant residential land is exempt from mandatory services and fees. For the purpose of promoting health, safety and the general welfare of Boise City and the Boise Area of Impact, a system for the collection, transmission and disposal of wastewater shall be constructed, extended, maintained, and operated within Boise City and the Boise Area of Impact, and other mutually agreed upon entities, by which to provide an adequate system for the collection, transmission and disposal of wastewater. It is the declared policy of the City to enhance and preserve the quality and value of the water resources of the State of Idaho, to assist in the prevention, control and abatement of water pollution, and to conform to the expressed intent of the Congress of the United States and the Legislature of the State of Idaho to abate pollution of streams and lakes. The provisions of this ordinance shall apply to all persons who connect to, or have an impact upon, the Boise City Sewer system. What is your Back Billing and Refund Regulation? The goal of the City is to bill customers for services provided. This regulation details the conditions for back billing when the customer has received services for which they have not been billed, and for refunds when it is discovered that a customer has paid for services not received. The City may back bill up to twelve months for utility services that have been provided and not billed, so long as the City is not at fault for the billing omission. In the event the City is responsible through its own error and/or omission, and the customer could not have reasonably known of the error, the City will not back bill, but will correct the error immediately. In all other instances, the City will back bill for services provided, but not billed. The back billed charges will be the incremental charges sufficient to correct the under-billing at the rates in effect during the twelve months that customer was undercharged and/or not billed. The City will also provide back payments to the solid waste franchisee for any services provided for, which the franchisee had not been reimbursed. The City may provide refunds to customers who have paid for utility services that have not been provided. In the event the City and/or its contractor(s) are responsible for the billing and/or service error, the City will correct the error immediately and determine whether a refund is due to the customer. * Compliance with the statute of limitations. In the absence of a written agreement, the refund will be limited to 48 months. If service has been provided under terms of a written agreement, the refund will be limited to 60 months. * At Customer Request. The customer has requested a refund from the City, stating the issue, reason for the refund request, and the date customer knew of the overpayment. * Only the Customer of Record. The refund will be made only to the customer of record at the time the refund is made. Additionally, the City will reduce reimbursements to the solid waste franchisee for any adjustments made to individual customer accounts that result in a credit and/or potential refund made to a customer.